Welcome to Flamingo Motorsports and we thank you for visiting our site. With almost two decades in the Motorsports business we have a SERIOUS passion for what we do. 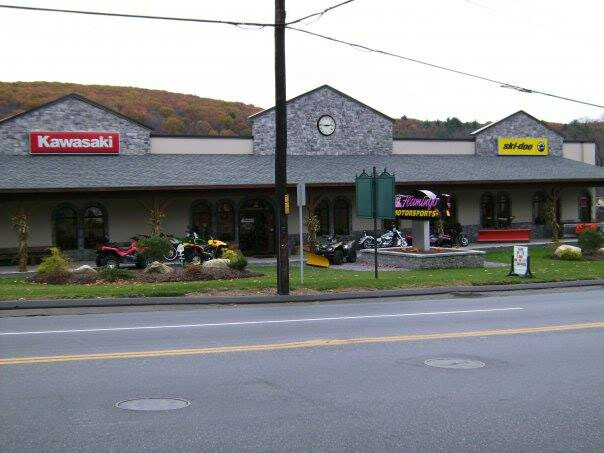 We have an incredible selection and pricing on our BRP and Kawasaki products that we offer. Along with pricing we strive to provide a great customer experience when dealing with us. Whether you are purchasing a new machine from us, having service performed, making a parts/accessory purchase, or just stopping by to say hello it is very important that we all deliver on this promise. We are conveniently open 6 days a week Monday-Friday 9am-6pm and Saturday’s 9am-3pm. We all look forward to seeing you soon!